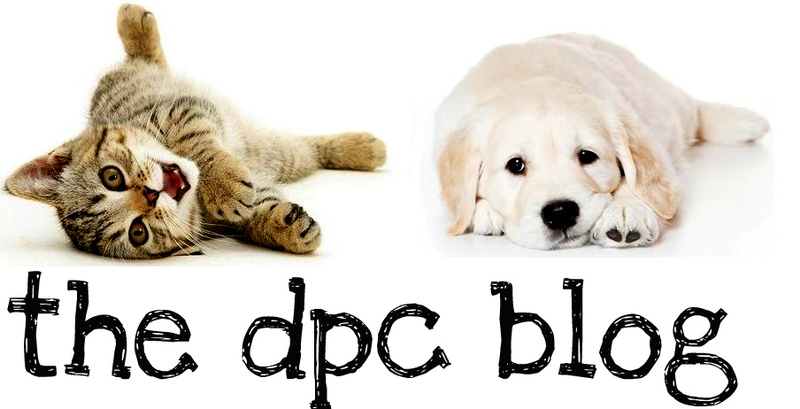 DPC's Blog: Pancreatitis - It's preventable. I cannot begin to tell you how many times a week I hear from clients that they see no problem giving "some people food" every now and then, because 'My pet has never had any problems.' or the even more popular.. 'If it's good enough for us, why isn't it good enough for them?'.. I'm going to tackle this today and plead my case using a patient we saw recently as a prime example. On the 18th we saw a 1 1/2 year old Shiba Inu mix named Harriette, who was presented for vomiting. She had begun vomiting bile and was not interested in eating. When Dr. Bawa asked the client what Harriette's usual diet is, they replied with "Pedigree canned food" but then added that the pet was a "finicky eater" and that often they would give her hamburger meat, fish, rice or even milk. It was evident that she had no set diet and that giving her some table food was common practice in the household. She also received "many treats" on a daily basis. In addition to this, she was not currently vaccinated nor on any heartworm prevention. She was not spayed which made pyometra a very real suspicion. Parvo was also a possibility, as she had never received any vaccines. Harriette was in poor shape and the only way we were going to know what was going on with her would be by running diagnostics. Labwork would let us know if there were any viral components and what the liver and kidney values were. Radiographs would let us know if there was any foreign body obstruction. Unfortunately the owner could afford nothing. They declined all recommended treatment and had to leave with Harriette. We were obviously concerned. I applied for CareCredit for them, which is a credit line issued solely for medical treatment. They were declined. I pressed them to find a co-signer or a family member who would apply for them and let them make the monthly payments. Thankfully after a few hours of worrying on both our part and the owner's, they returned with a generous family member who co-signed for them and reapplied. They were approved, for over three thousand dollars! It was a godsend. We admitted Harriette immediately and began the needed diagnostics. The owners waited while we ran a full panel of in-house bloodwork. While the blood was running we took two abdominal radiographs. Wasting no time and wanting Harriette to feel better as soon as possible, Dr. Bawa and the nurses hooked her up to an IV and began administering fluids to combat her dehydration, as well as administering an injection of an anti-vomiting medication. We had partial lab results quickly and it became apparent from the very beginning that something was very wrong. For starters - we had to redraw the blood because there was a layer of fat present in the blood sample itself. We did a blood glucose check and found that Harriette, despite her very young age, was displaying signs of ketoacidosis in addition to our previous suspicion of pancreatitis. Pancreatitis is an inflammation of the pancreas that causes the digestive enzymes to leak and the pancreas literally begins to digest itself. Symptoms include lethargy, vomiting, inappetance, pain, fever and dehydration. Ketoacidosis occurs when the body's failure to produce insulin goes unregulated for long enough that the body then begins burning fatty acids and producing acidic ketones that cause other complications. Harriette's poor diet and other factors contributed to her developing diabetes. The pancreas produces insulin and when it is damaged the result is diabetes. A diabetic dog would then need to be regulated on insulin in order to compensate for the lack of insulin being produced by the pancreas. When diabetes is unregulated and insulin is not being given or given regularly, the result is ketoacidosis. During ketoacidosis the pancreas begins burning fatty acids in the place of the needed insulin, and puts out acidic ketones that cause complications and severe illness. It often proves fatal. Harriette needed to get to a 24-hour emergency facility, and fast. She was going to need insulin, and hourly glucose checks. Her glucose when last checked at DPC was alarmingly abnormal. She began vomiting again upon discharge so we gave her another injection and prepared her for transfer to St. Francis Emergency Hospital. She returned the following morning and while her glucose was improved, it was still far out of range. In addition to her continued nausea she remained completely uninterested in eating. We kept her on fluids to keep her hydrated and attempted force feeding. Poor Harriette was not doing very well. We continued to give her anti-vomiting medication and she again spent the night at the emergency clinic. Over the next 24 hours she continued to receive small doses of insulin as needed. It was a long hard road but eventually Harriette's diabetes was regulated while she remained under constant care at St. Francis. All in all she was hospitalized for nearly a week. She began receiving regular insulin injections in an effort to regulate her diabetes and prevent future ketoacidosis. She was also put on a prescription food, Royal Canin Gastrointestinal Low Fat, because of her pancreatitis. Within 2 weeks from her discharge from the hospital she began experiencing grand mal seizures. We are unsure if the owner was diligently administering the insulin at home, but she was brought to the emergency clinic late in the evening and was unresponsive. She then had to be humanely euthanized. This is one of the saddest cases I have experienced in my decade-long tenure in this field. A dog of less than 2 years of age should not experience this much illness and suffering in such a short period of time. I am not going to point fingers or play the blame game on the owners because they were truly concerned, overwrought and caring owners when they brought her to us. I cannot begin to imagine the guilt and anguish they feel over the loss of their beloved pet. What I want to convey with this story is that pancreatitis is very real, and can happen fast, and hard. You may think it's okay to give your pet a little table food here and there. You may think.. oh they won't eat.. they must eat! So you give some steak, some rice, a little bit of hamburger.. Little do you know that all you are doing is slowly and subtly training your pet to beg and whine until they get the table food that they, of course, prefer. They don't know any better. If your pet is having difficulty eating or you have concerns with their diet.. contact the vet! 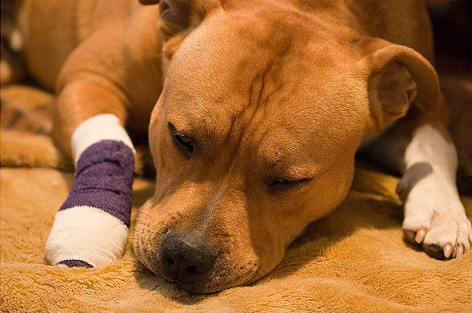 Don't let this happen to your pet. It breaks our hearts as much as it breaks yours when we see a dog or cat suffering. Especially if it could have been prevented! Fajne spojrzenie na historię, każdy powinien przeczytać także zaznajomić się z motywem. it pinched her ear. She never wants to goo back! LoL I know this is completely offf topic but I had to tell someone! volunteers andd starting a new prroject in a community in the same niche. population of stray dogs. To access more information about RVing, RV reviews, and RV campground details visit. Tɦanks for revealing tɦis view. Wishes for yοu personally. an awesome blogging stage. Aw, tҺiѕ was ɑ truly quality post..
Wherе elsе can I get tɦis kind of info composed іn thɑt perfect manner?.. You may also choose those games which are inspired from the newest movies or cartoon characters. That cost is, of course, worse than anyone ever dreamed of way back when President Reagan signed the original order.